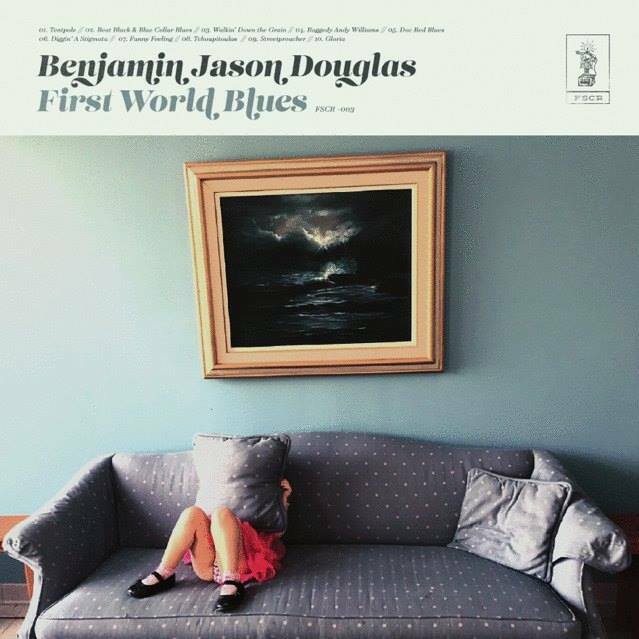 With his jangly folk-rock style, and his Randy Newman-esque growl, Nashville-based Benjamin Jason Douglas conjures images of the tent revivals in the dusty heat of the South, where music was used to rile up emotion and invoke the Holy Ghost. “I’m a gonna raise my hands on high/I’m a gonna stomp my dancing feet/Down on the neck of that ol’ serpent/Who’s takin’ my joy from me,” he sings in his new single “Tentpole,” as he recalls his own experience, and attempts to figure out where he belongs. If it’s possible for a voice to convey a twinkling eye and a whip-smart sense of humor, Benjamin Jason Douglas is already ahead of the curve. “‘Tentpole’ starts with my dad preaching and ends with a hymn my grandfather use to sing in his sleep…loudly,” explains Douglas. “It’s my way of figuring how I might fit into my spiritual heritage.” The song is featured on Douglas’ forthcoming record, First World Blues, produced by Joe Lekkas and out on August 10th via Flour Sack Cape Records.